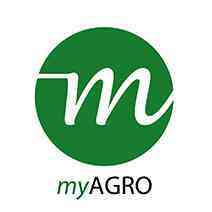 myAgro is an award-winning non-profit social enterprise based in West Africa. myAgro has pioneered a mobile savings model that allows farmers to invest their own funds in high-quality seed, fertilizer, and training and increase their harvest and income by 50-100%. myAgro’s North Star is to help 1 million farmers increase their incomes by $1.50 per day by 2025 and lift themselves out of poverty. Learn more from myAgro’s founder here. • Hire, train, guide and direct managers of the Operations departments, 4 to 5 people directly and 20 to 25 indirectly. • Ensure team stays compliant with myAgro’s procurement rules and guidelines and ensure donor guidelines are respected.